I made this for my little one as a bit of a joke (he is going to hate me when he is 18 and all these pictures surface!). Anyway. I made it up as I went. It was very quick, it took maybe an hour or so to make and is made from Robin Super Chunky in Silver and an 8mm hook. Make a magic loop, chain 2 and make 6hdc (us) into the loop. 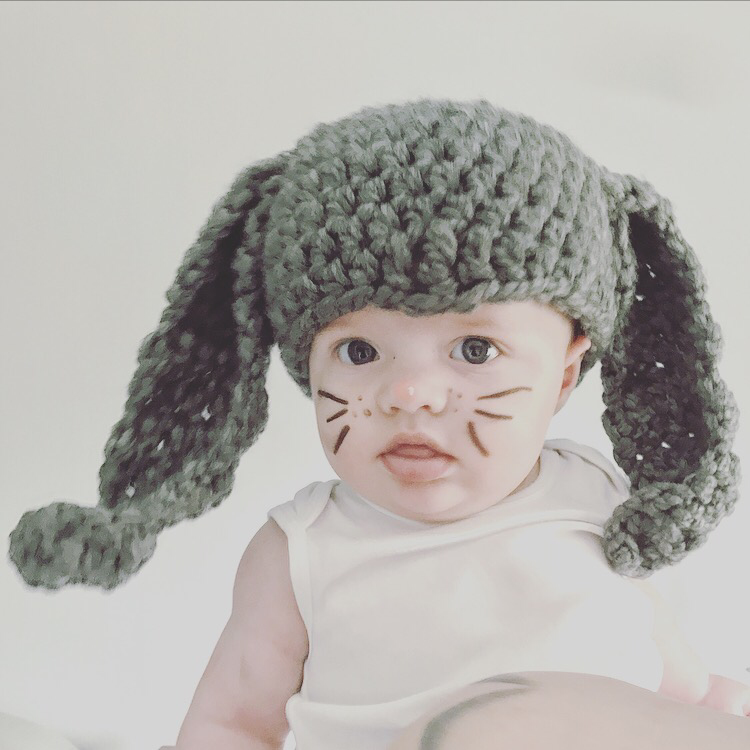 The hat was a bit big for him (he is 4 months old), to be honest it will probably fit him next year too, for a similar size or smaller baby I would reduce the number of stitches next time. 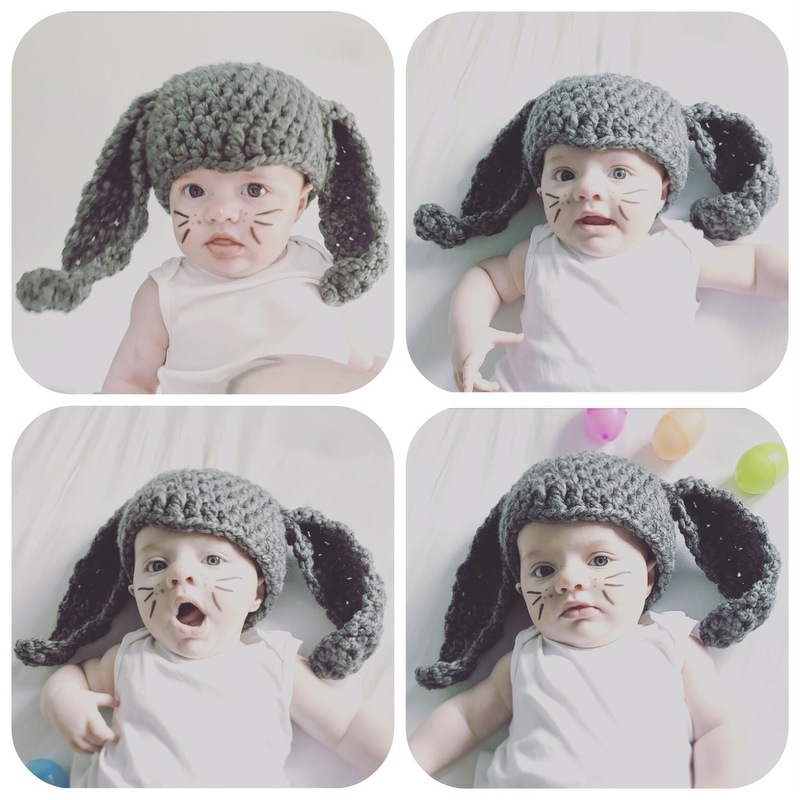 For an adult I would add an extra row of increase before you start the body of the hat. For the ears I made each separately and sewed them on at the end. I used double crochet instead of half double as I wanted the ears to be a bit more floppy. The turning chain counts as the first dc throughout. Double crochet in third chain from hook. Dc in each stitch. (7) Chain 2. (Skip 1st stitch. 6dc.) repeat 6 times. Chain 2. Skip 1st. Hdc, dc, hdc, sc, chain 1. (5) Repeat twice. (Dc 2 tog) x2. Finish off. Sew in ends and stitch to hat.